Note: The features section should be considered spoilery. There are some cinema I don’t enjoy. 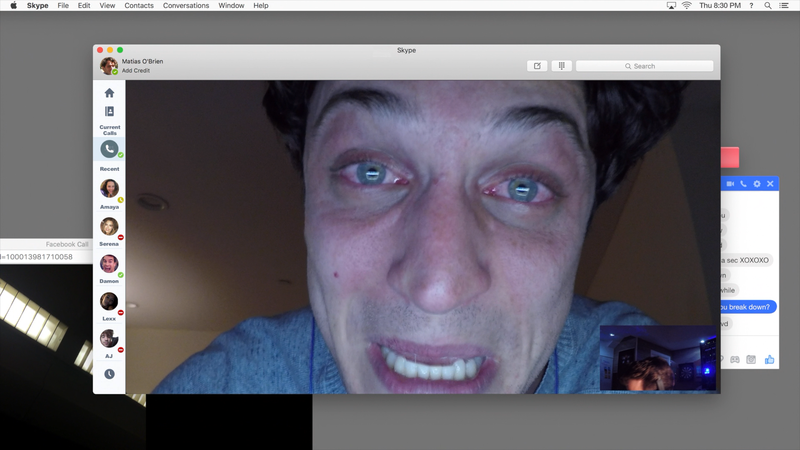 One are supernatural/paranormal movies, the other is found footage, which is probably why I thoroughly disliked Unfriended which I watched in preparation for this review, though unnecessary as Unfriended: Dark Web has nothing to do with the first film. So while thankfully this sequel is more grounded in reality, the found footage-like style really didn’t work and actually nullifies any sort of suspension. The plot centers on a young man named Matias (COLIN WOODELL) who has stolen a laptop from his work’s lost and found box. The previous owner’s info is still there with auto fill-ins for access to Facebook, Skype and other programs and discovers a hidden folder filled with videos. 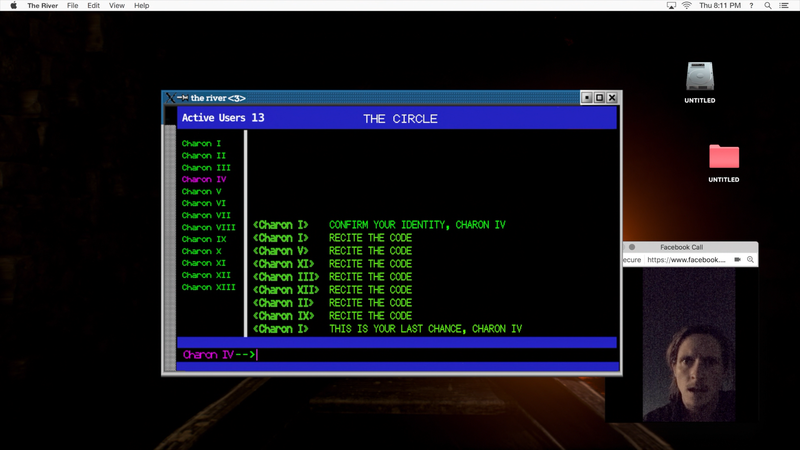 Along with his friends — Nari (BETTY GABRIEL) and her girlfriend Serena (REBECCA RITTENHOUSE), conspiracist YouTuber AJ (CONNOR DEL RIO), Lexx (SAVIRA WINDYANI) and techie Damon (ANDREW LEES), are roped into a deadly game when Matias discovers the laptop belonged to a man with deep connections with the Dark Net, apparently kidnapping young women and selling them on the market, making $10 million worth of crypto-currency. With Matias’ girlfriend (STEPHANIE NOGUERAS) being threatened, and the Deep Web secrets exposed, the friends must find a way to escape the deep reaches of these deadly criminals. As usual with these kind of movies, most notably the found footage ones, you do have thinly written characters making really dumb choices, and while their stupidity isn’t as prevalent compared with other movies (just name any one of the Paranormal Activity films), there are a few eye-rolling moments, the biggest one, and this was the case with the first movie, JUST TURN OFF THE DAMN COMPUTER! FFS. Unlike the first movie, I actually did find some moments in Dark Web to contain a moderate amount of suspense, mainly because I do have a genuine interest in the part of the internet that apparently comprises somewhere around 95% of the Net. Other than that, not much here to really admire, the acting was okay and at the very least they weren’t incredibly obnoxious (though the AJ character got close), so it’s a tolerable enough movie worthy of a rental. 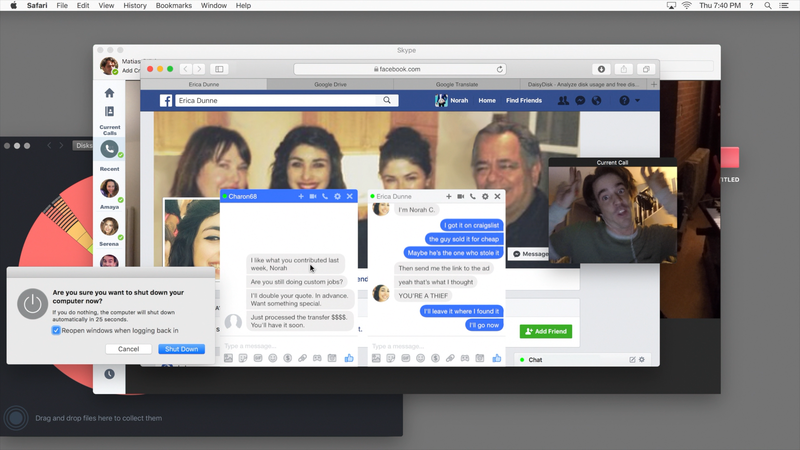 Unfriended: Dark Web was written and directed by Stephen Susco, known for writing American The Grudge movies, Red (the Brian Cox version), and Texas Chainsaw 3D, while marking his directing debut. This release comes with a title-embossed slip cover and inside is the redemption code for the Digital HD copy. Not much in terms of features, but there are three Alternate Endings, for who will live: Matias and Amaya (5:30), Matias (7:52) and Amaya (7:03). The latter is what was apparently the alternate ending shown in theaters. 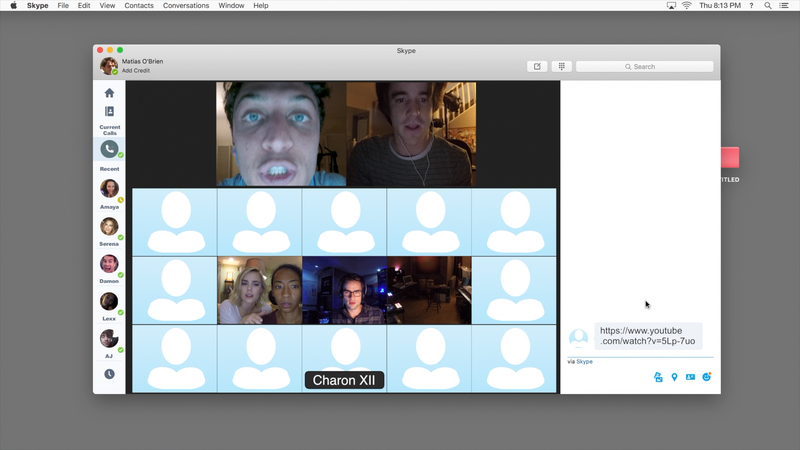 Universal releases Unfriended: Dark Web onto Blu-ray presented in its original 1.78 widescreen aspect ratio and a 1080p high-definition transfer. 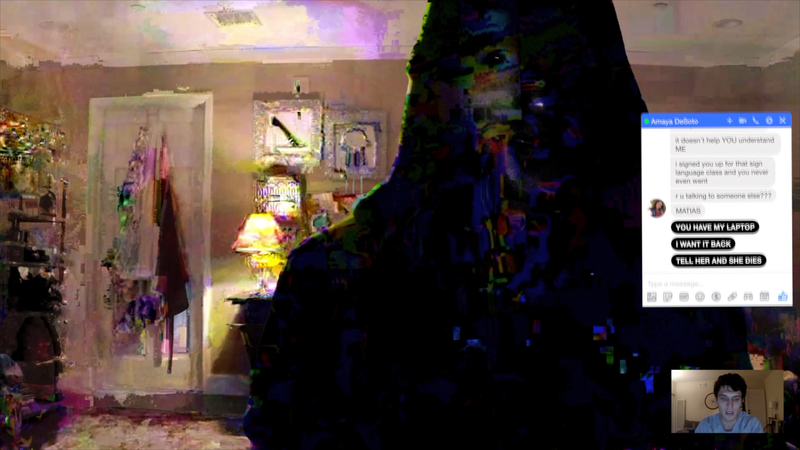 Although the entire movie is basically shown through a computer monitor, the resolution isn’t always the best but made to look scrambled in spots, brought on by the Dark Net hackers, but colors are generally bright while black levels stark. The disc includes a standard but efficient DTS-HD Master Audio 5.1 which does come to life with some of the scare moments and dialogue levels, coming via the center channel, is crisp and clear throughout. No, it will not give your home theater a workout, but still fairly impressive. 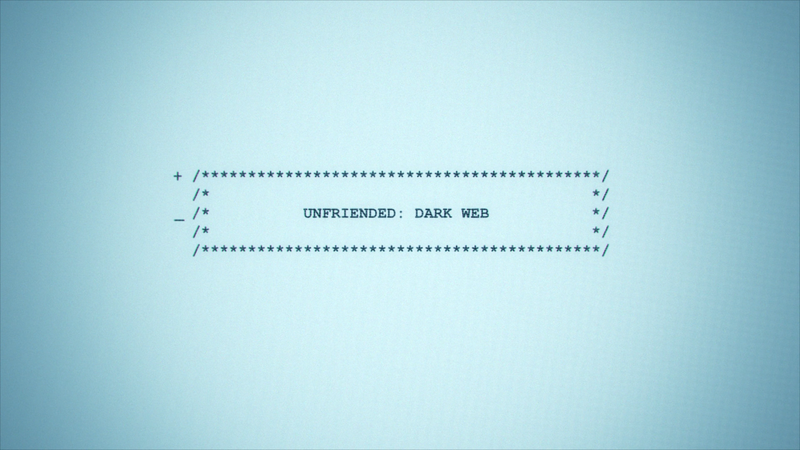 Overall, Unfriended: Dark Web isn’t a great movie but an okay step up from its predecessor which I greatly disliked; this entry at least at a few fun suspenseful moments and the acting wasn’t terrible, so win? In any case, the Blu-ray has good video/audio transfers while the bonus material was interesting with the alternate endings, but otherwise it has nothing else to offer.